Tomorrow is #McHappyDay. 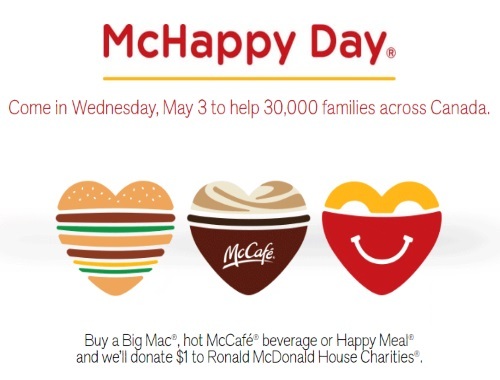 For every purchase of a Big Mac, hot McCafé beverage or Happy Meal, McDonalds will donate $1 to Ronald McDonald House Charities to help families across Canada. Offer is valid Wednesday, May 3, 2017 only.